Registration is now open for our 2019 PGA Junior League! Please register your child as soon as possible. For those of you that have participated in our Junior League programs in the past, you may remember that our schedules have been fairly consistent with the days of the week they fall on. This season will be much different. We have added some great courses to our leagues and the kids will get opportunities to play some exclusive private country clubs but our matches dates will be on random Sundays – Thursday. Our season will run late May through mid-July. Each team will have 6 matches, 3 at Monarch Beach & 3 at an away course. As soon as our rosters are finalized, I will send out schedules to all parents and players. Some of the courses we have added to our leagues this year include, Tijeras Creek, Coto de Caza, Mission Viejo, and El Niguel. We will NOT have any practices. 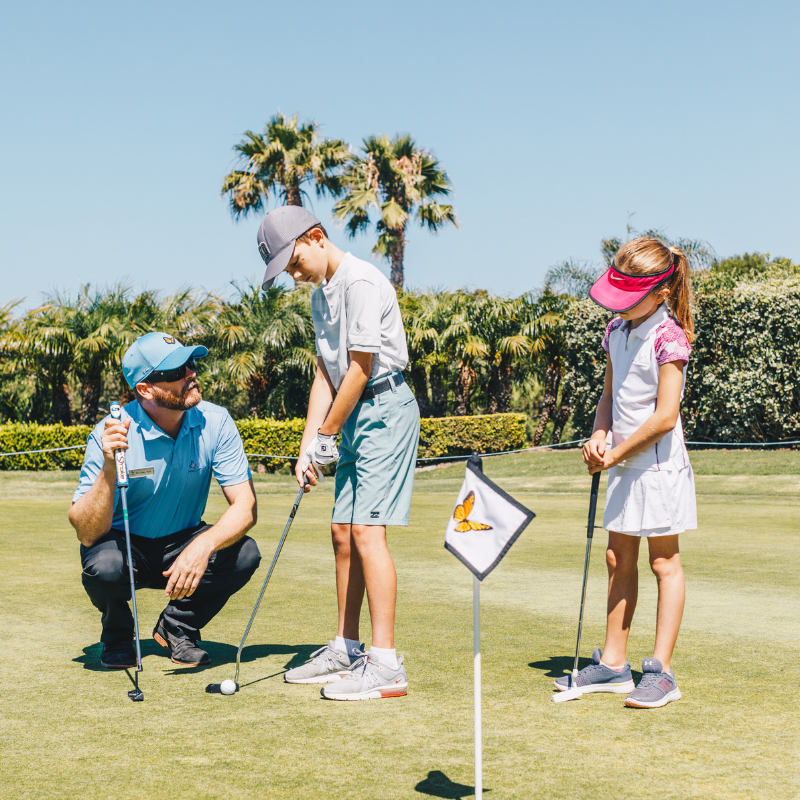 We are planning a very exciting Junior Instructional Clinic Program this summer (Details to be announced soon) that will provide your child with all of their golfing development needs. The cost to be on the team is $350 per child. In addition to the golf matches each child on the team will receive 2 new PGA Junior League Jerseys, a PGA Junior League Team Hat, a PGA Junior League Bag Tag, and a PGA Junior League Back Pack. If anyone has any questions please let me know. The Deadline to Sing up is Sunday, April 21st. We do expect all 2 teams to completely sell out before the deadline on 4/21. Scroll down to learn more about PGA Junior League! Questions? Contact Brandon Delgado, PGA Director of Golf at bdelgado@monarchbeachgolf.com or 949.248.3014. Monarch Beach is dedicated to growing the game of golf. We look forward to teaching your junior golfer & fostering their love for the game. Bringing the American Development Model to Junior Golf all of our instructors are now PGA.Coach certified. Our junior camps will focus on fun, the fundamentals, how to apply those fundamentals to some course play and most importantly creating some great memories with new friends and helpful coaches. 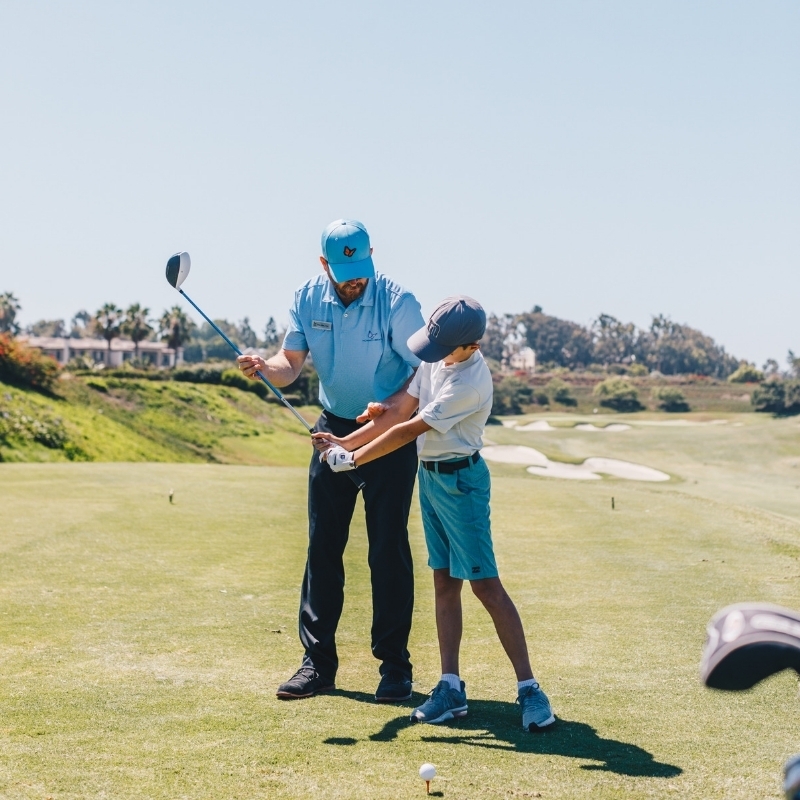 Our goal is to maximize each athlete's potential; to create well-rounded athletes and develop principles that create life-long golfers and athletes for generations. Now is the time to start your child’s journey in golf!!! Learn about our Junior Crown Club by clicking here! Join Monarch Beach's PGA Jr. League Team! 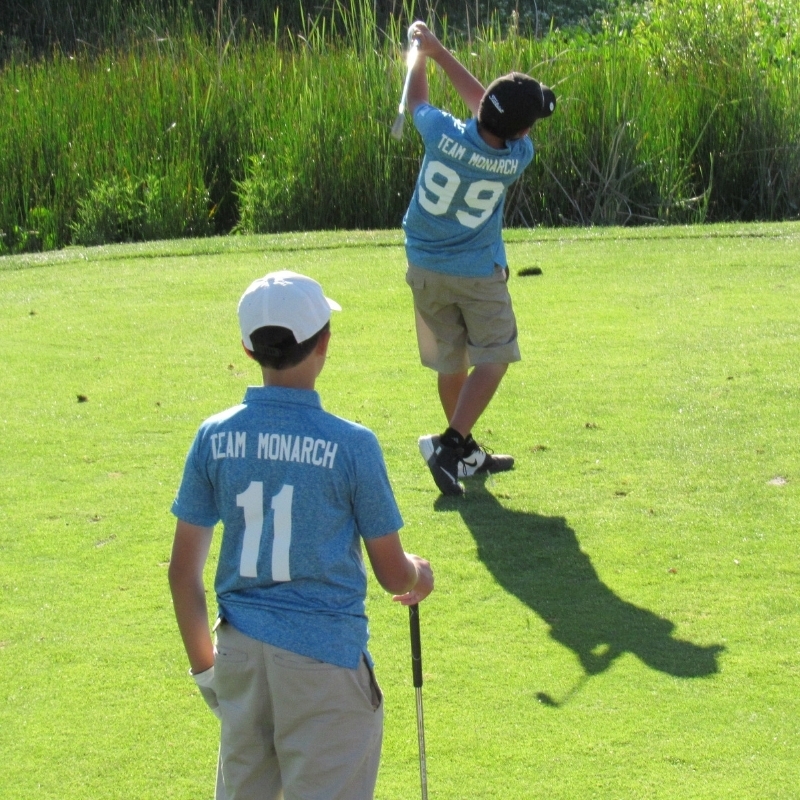 How can your Junior Golfer be a part of Monarch's Team? *Some sessions of PGA Junior league will not include practices. These sessions will be lower in cost than sessions with practices. PGA Jr. League is a fun, social and inclusive opportunity for boys and girls to learn and enjoy the game of golf. Much like other recreational league sports, participants wear numbered jerseys and play on teams with their friends. A league is made up of local teams within your geographic area, minimizing the distance and amount of time spent commuting between games. A league will have between four to seven teams and may consist of teams from just one facility or teams from a collection of facilities. During the course of the regular season, your team will play a game against each team in your league. A game is played between two teams. Depending on who the home team is, in addition to course scheduling and availability, will determine where the game is played. During the course of a game, four matches are played by at least two players from each team against each other. The winner of the game is determined by the total number of points won within all matches. Friends, family, and spectators are encouraged to attend and watch - but not participate or aide - each game! A team is a collection of eight to twelve players, boys, and girls of any ability, who work together during the course of a game against another team. A match consists of two teammates (or three, with a substitute) competing against a similar grouping from the opposing team in a fun, nurturing scramble format. The match lasts for nine holes and is broken up into three 3-hole segments called "flags". Each flag won by the team is worth one point. Each tied flag won by the team is worth a half point. The team with the most points at the end of the game wins. Since there are four matches in each game, and each match is played for a maximum of three points, there is a maximum of 12 points total in each game.